Michaels Coupons & Online Promo Codes. 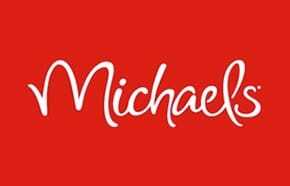 Check the latest Michaels Coupons and save money with Michaels in-store printable coupons, online promo codes & best deals. Michaels offers a large selection of arts and crafts including custom framing, sewing, floral, wall decor, and more. Certain exclusions and conditions may apply for Michaels Coupons. Some advertised items may not be available at all locations. Percent OFF discounts are OFF original prices for products. All credit cards may not be accepted at all stores. Quantities may be limited and there may be no rain checks issued. Coupon offerings are the key to saving a lot at many craft stores and Michaels is by far one of the most coupon-friendly stores. Here is everything that you need to remember for saving big when shopping at Michaels. You can use competitor coupons from Joann Fabrics, Hobby Lobby, A.C. Moore and Ben Franklin. You can use multiple competitor coupons from different retailers for the same transaction if you buy equal number of items. You can use multiple store coupons for the same transaction if the coupons are different (i.e. 50% off any one regular price item + 25% off entire purchase). You can use multiple bonus coupons (i.e. extra 20% off décor items + 40% off any 1 item). You can scan coupons directly from the Michaels app when checking out in store to avoid having to use a printer.